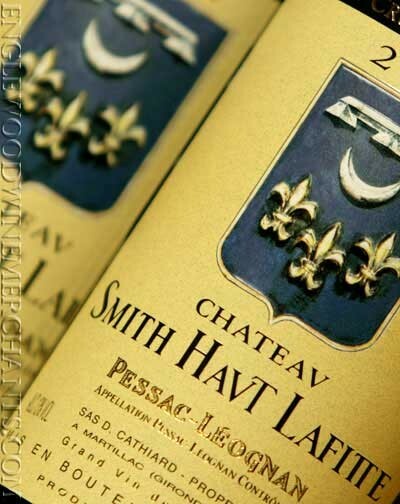 As a testament to the chateau’s commitment to lowering its carbon footprint, 20,000 bottles of Smith Haut Lafitte are due to begin their journey from Bordeaux to Montreal on July 21 not by the usual container ship, but by a 106 year old British sailing ship called Bessie Ellen. Bessie Ellen will take the bottles on a slower and more expensive path than usual, but the owner and shipping company cite several benefits to this alternate method. 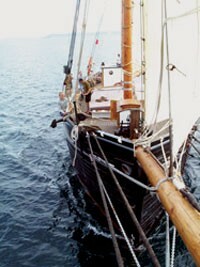 Owner Daniel Cathiard believes that winery clients will appreciate the reduced environmental impact, and the shipping company, CTMV, claims that in a blind tasting wines that crossed the ocean by sailing ship showed better than those that went by container due to a perceived one year increase in age. Though CTMV plans to make this a regular route, it is not yet clear how many other wineries will jump on board. However, if the increase in cost becomes a factor, the chateau could always consider selling spots on the ship to connoisseurs interested in “monitoring” the progress of the wine during the trip. 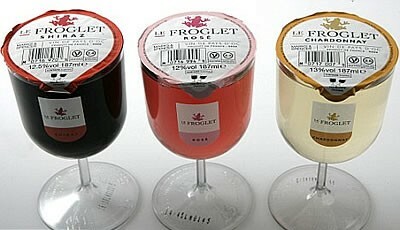 The introduction at Marks & Spencer of Le Froglet’s Wine-in-a-glass, an individual serving of either Chardonnay, Rosé, or Shiraz in a covered plastic glass has spurred a great deal of online discussion. Part of the story is the owner of the idea, Mr. James Nash, had his vision unkindly shot down by the BBC’s Dragon’s Den panel, who have been evidentially been proven wrong as Marks & Spencer reportedly cannot keep the glasses in stock. However, some commenters have decried the environmental impact of the single use glasses, which is valid, but why should wine not be permitted in single use containers when so many other beverages are? (Target in the US offers more environmentally friendly single use wine tetrapacks, kind of like grown up juice boxes, but that concept hasn’t taken off yet.) And some seem offended by the very idea, that it’s déclassé and “unromantic”. Wine has survived the introduction of wine cooler and white zinfandel, so I doubt it will suffer at the hand of a plastic glass. If anything, it’s one more way for wine lovers to enjoy the product– and what’s wrong with that? 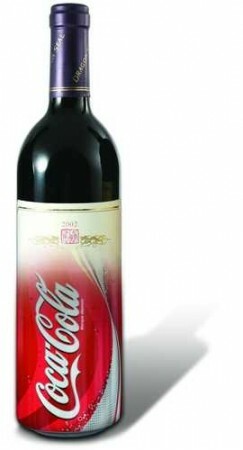 French wine to become the Coke of the wine world? France has been slipping for a while from it’s lofty seat at the top of the wine world due to increased competition across the globe but also internal problems such as inconsistent quality standards, lack of government support, and the recent move among younger generations away from wine to beer and spirits. Yet the country’s wine reputation still stems from having some of the world’s top vineyards and producers. When you mention France many consumers continue to conjure up images of first growth Bordeaux, rare Burgundies, and grand Champagne houses. But even this illustrious reputation is now being threatened it seems, for as The Independent recently reported, a senior French wine official has declared that French wine will become “like Coca Cola”. It is a disturbing thought, but some believe it’s France’s best option to compete, saying the top and upper middle tiered producers can remain unchanged but the lower tiers will benefit from being consolidated to create more uniform wines of dependable quality that will challenge Australian and other New World wines on the cheap and cheerful shelves of your supermarket. Is this a win for value seeking consumers disappointed by uneven quality or a tragic loss for the beloved and very French idea of terroir? My name is Lauren Dickinson, and I’ve recently joined Uvinum to help out with the US and UK markets where the site’s presence is developing very quickly. Although I currently live in Barcelona, I grew up in the San Francisco Bay Area and worked in the wine industry there for several years before moving to Europe last August. I am happy to be working with my passion for wine here again, now combined with the excitement of joining a team that’s part of the movement to develop the online world of wine, which I believe offers many chances to bring all kinds of wine drinkers together, from peers to professionals, to share what we know and enjoy and learn from others. Living here I enjoy tasting all kinds of Spanish wines, particularly the reds from Priorat, and the Cavas from just outside Barcelona, although I have to admit once in a while I get homesick for the Napa Cabs I was raised on (I think my very first taste of wine was thanks to Warren Winiarski’s Stag’s Leap) and the Central Coast Pinots and Dry Creek Zinfandels that I had recently come to love. But I am always finding new favorites to recommend to friends back home! I look forward to hearing from you and learning about which wines you’re trying. In a bottle of wine there is much information to decode. The wine label is one of the most important since, along with the back label, the bottle type, the capsule and the cap, it’s like a car registration or trademark. With it, besides enjoying its design (and commercial hallmark), you can find out the most important elements of wine: grape/s, the winemaker or winery and vintage. Grape, because you can immediately decide if it’s the type of wine you want to drink. Winery/cellar/winemaker, because some are very good and some not so. Vintage because some are better than others depending on the weather conditions suffered by the vineyard (in a restaurant, for instance, I always verify that the harvest year that I get is the one I ordered as it may be more expensive or not as good). In addition to these three reports, you’ll uncover: its alcohol degree, volume content, the identification and location of the winery, bottling registration, appellation and health records and export, and is expressly prohibited that the wine label contain any misleading data. The wine back label is where the official seal of the Council of the Appellation usually is, plus tasting notes, suggestions for service or pairing and aging period of wine: Crianza, Reserva or Gran Reserva. Reading a wine label can be as easy as reading the alphabet or as difficult as trying to decode a foreign language, it all depends from whom and where the label comes from. Information on raveling the mystery behind a bottle of wine before it’s open by reading the label, could fill a book, but we’ll try to give you the most important keys. 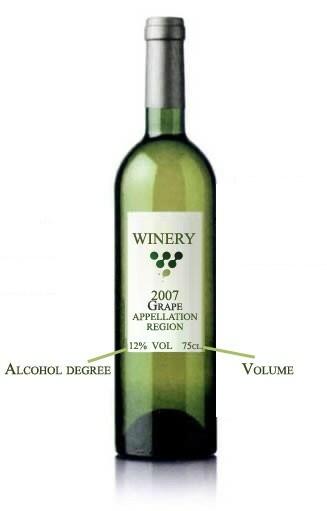 New World wine labels tend toward the approach of “this is what it is”, with the grape variety or blend clearly labeled, the winery, where the grapes were grown and the alcohol content easily in sight. In Old World wines are known for “masking” key information, but this is not true at all. If you know what you are looking for, you can figure out the relevant tag information with very little effort. Instead of the variety, the place is the main piece of information on the wine label – where is the wine from. The wines from the Old World are heavily invested in their land (terroir), not necessarily in the specific grape, so if you know the region, then you will also have information on the possible grapes that made their way into the bottle. Just last week, Uvinum a Spanish grown social wine recommendation portal took their first step into the English speaking market with the launch of the UK version. We’re very happy to be sharing our passion for wine “across the pond”. Are you in? We just launched Uvinum.co.uk on March the 1st. It is our first international expansion since the launch of Uvinum Spain (www.uvinum.es) last December 15th. As we have posted before, Uvinum’s purpose is to democratize wine knowledge worldwide. Thanks to users wine reviews and experts recommendations, Uvinum helps every wine lover find the most relevant wine to their consumer profile, using a language that anyone can understand and at the best price, purchasing in the major online wine merchants. In this goal of making wine sector accessible to all, Uvinum wants to give complete information and costumers reviews for each wine, personalized recommendations and the option to purchase wine comparing prices in the best online stores. 1. Becoming the major online reference in terms of wine catalogue offering recommendations and reviews of users and experts. 2. Allowing users to compare and access to the best prices through agreements with leading online wine stores. 3. Our own exclusive Behavioral Targetting Technology. Recommending wines thanks to Uvinum’s platform that learn from user behavior and actions in Uvinum to offer the best wines according to their consumer profile. Our young start-up based in Barcelona was launched to become an international project and after Uvinum UK and Spain, we expect to enter new markets like the United States (www.uvinum.com). The focus of our company is global, but Uvinum will act locally in each market adapting its strategy and activities to the market and consumer profile of each country. The fact is that the English wine market has become extremely attractive. Over 14 million consumers in 2008 who drink wine, and is expected to grow by 20% in the coming years. The consumer’s profile mainly oriented to the discovery of new wines and trends from all over the world, who need customized recommendations they trust to find the wine that best fit their needs. A market also highly relevant to cellars from all over the world who want to export their wines to the UK and promote their brand and products in this market, being Uvinum an ideal plaform to generate brand awareness. All of this has convinced us to enter this market with the goal of leading the social wine recommendations market in the coming years. We are waiting you in Uvinum.co.uk to share your passion for wine!. Are you ready for Uvinum UK? We launched Uvinum.es (our Spanish site) on 15th December 2009. We started in Spain for several reasons, but mainly because all 3 co-founders live in Spain and know the wine sector perfectly. After 70 days on-line, the results have been awesome. We have steadily improved the quality of our services and of our platform and we have put our partners’ wine catalogues on-line: (Decantalo, Millesima, Companyia d’Alella, Aporvino and Fansdelvino). Apart from this, we have been talking with wineries and users, trying to see what we can do to improve and change, so that Uvinum becomes better and better with each passing day. Naturally, we need more time to reach our goals with regards to services, but our feeling is that our wine-lovers are trusting us. Thank you for having confidence in us and in our project and for helping us to improve it! We have also got good impact thanks to the Media , being on TV , blogs and some wine medias. And the power of offline Media is still impressive , reaching our major day after our presence during 30 seconds in TV3 (Catalonia official TV ). costumers interested in discovering new wines. That’s amazing and Uvinum loves this. Uk is a great country , always looking to se enew trends, new sensations. a country in which you can discover a wine from australia, new zealand, france or argentina and buy it easily. That’s not the case in other countries. The fact is that the 2 Albert’s and I are working to be able to launch Uvinum.co.uk in the next days. Be ready, Uvinum is coming! Nico Bour, our CEO, already announced that Uvinum came up from a conversation in Facebook, the most popular social network, using Web 2.0 right from the beginning. But would you like to discover what we wrote exactly to each other in those first messages exchanged between the Uvinum founders? Just keep reading. I feel a little cheeky, but I have to tell you this. If you are interested in talking about a personal project I’ve been thinking about for a while… not that I want to be mysterious, but there are interesting possibilities … 🙂 It is a project of great interest from a SEO point of view, and also very Web 2.0, and has a clear and important business model. There is a good competitor in this market, but still consider it pretty virgin. Well, you know that we would literally sign up for anything, and if things are really like you describe them… then we may be interested in this project. If you could give us more detail, we could reply with a bit more certainty. We are intrigued. Ok man, I know that I was not very clear. I’m transparent anyway ’cause ideas are useless if they’re not put into practice. The fact is – and I see in my business sector with Tripadvisor, which is the leader in hotel recommendations (and you know it) that personal recommendations and ratings of products by users will become increasingly more important and valuable as content. The UGC is a key factor and will be even more important as regards reputation and trust (brochures are no longer useful). If you add a immense social layer that lets you create your virtual cellar, your wine wish list with those wines you’d like to have… meeting other wine lovers and organizing meet-ups, creating discussion groups, inviting winemakers or wine products so users can chat with them… so there are lots of possibilities within a sector in which there is a lot of passion and pleasure. It is a sector in which there are already some very strong competitors in ecommerce (…) but I see possibilities in the mix “recommendation + community” (…). There is a chance to do something very powerful because it is a sector that needs more online presence. (…). It also has interesting options regarding mobile, because I’m thinking of someone in a supermarket or a restaurant looking at a wine, and he doesn’t know if it’s good or not (so he connects via ewifi to the site and immediately solves the doubt thanks to recommendations and ratings). This is just a quick summary so that you get a clearer picture. So let me know what you think about it … take it easy though. I think it’s a great combination of community project and SEO, that can have a great brand in itself, and that, if properly done, it can only succeed. (…). I’ll stop here, this message is already long enough hehehehehe. And from here, you can imagine: we met one day to discuss the whole idea more calmly (with a few glasses of wine in between, by the way) and so we have been going into details that have changed the original concept we had in Facebook. Launch is approaching, you will soon discover what is Uvinum and share our passion for wine. Are you in? Wine: taste and feel it! Last weekend I had the opportunity of tasting in my family’s house in Provence a 1st Cru of Burgundy. A Montracher Chassagne of 1999. And I started with my father, Henri Bour to make a comparison of tasting that both were having with this 100% Chardonnay. It came to my mind at that moment the hundred of times that many friends had told me that they never understand at all the wine they drank. And finally, although this is something that is achieved by tastind different wines, collecting the pleasure of tasting a wine using the different senses (in this order: sight, smell and taste) is truly a great pleasure . I have almost always hear the famous “I do not know about wine , so I can not explain what I feel.” One of the sentences that I don’t agree because I believe that there is no a single answer to define each wine. Everyone has its own tastes and perceive its own feelings. This is exactly what we want in Uvinum: there is no a right answer but rather a sum of opinions and recomendations from users with different tasting profiles that can make you choose the correct wine with the best information available. I would like to ask everyone here to do a little effort to understand what we taste, to understand wine. You do not need to do any wine courses or read any book (although it is always best if given the chance). When you taste a wine, you should try to understand, feeling it. Using the sight, the nose and mouth (even closing your eyes if you prefer) and be carried away by the sensations that wine conveys. You can remember a fruit, spices, a land or a person. Everything is fine. What is unfortunate is that we keep drinking wine without feeling it. We are all capable of it, we just need a little effort. And believe me when you started to open your senses to the wine, drinking wine will never be the same.